2012 was an interesting year for Video Games, one that certainly got a lot more diversity mixed in it than 2011. We got games like the Unfinished Swan and Journey which, despite the odds, managed to get into mainstream media and be recognized as compared to full fledged retail releases like the Halos and Assassin’s Creeds.That’s an incredibly amazing feat, and it currently puts us in a weird transitory year that seems to have a lot more secrets in the works for us. More importantly however, the year had such a diverse selection of titles that it made choosing my favorite games of the year that much more daunting. - The Walking Dead: This game deserves quite a lot of praise when it comes to the way it used storytelling and character development as a mechanism to get me completely hooked on it. The Walking Dead made me care SO MUCH about the choices I made, that it became extremely hard watching their consequences unfold. Morality is a concept that the Walking Dead by Telltale doesn't take lightly, and that shows throughout every shred of the entire experience. - Journey: thatgamecompany has certainly created a series of interesting games with Flower and Flow, though none of their previous pieces of work come close to what Journey was able to achieve. Explaining what Journey is is in fact a pretty hard thing to do. Some call it an unparalleled experience, others simply ask you to just pick up the controller and enjoy the sheer beauty of the world you are about to set foot into. 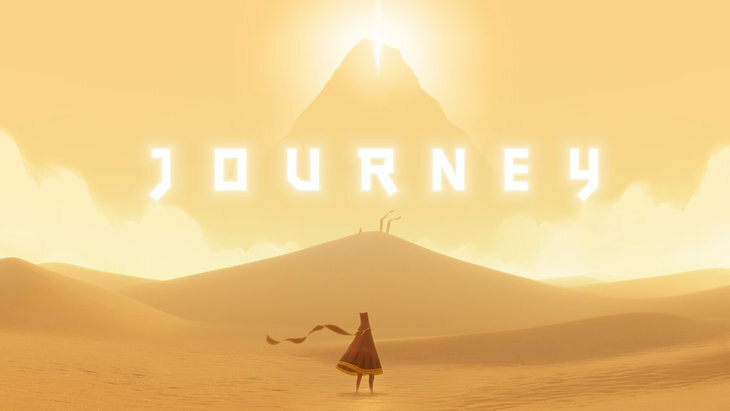 I however, would tell you that Journey is certainly unlike any game you've ever played before. So if you have a PS3, go pick it up NOW, because it's worth every penny paid. - Sleeping Dogs: I was excited about Sleeping Dogs the moment I first heard about it. Setting an open-world Sandbox game in Hong Kong was something that I really wanted to see done well in a Video Game. Sleeping Dogs nailed it right on the head. It didn't necessarily bring in anything revolutionary, but it combined a different set of solid mechanics really well. The game had an engrossing story, enjoyable combat, and a world filled with tons things to do. It nits all those pieces together well enough to create quite the memorable experience. - Zero Escape: Virtue’s Last Reward The sequel to 999: 9 Hours, 9 Persons, 9 Doors was everything that I wanted and more. It took the depth of it's predecessor and just expanded it immensely. It introduced a set of new charecters that were all interesting, and had backgrounds that screamed "I NEED TO KNOW MORE" . It also had puzzles that were much harder than the first game, and that required a lot more thinking to go through successfully. If you were a fan of 999, then VLR is what you need. I'm 12 hours in and it doesn't look like I'm stopping anytime soon. - Mark of the Ninja Stealth done right. That's how I would describe Mark of the Ninja. The 2D Side-scrolling Stealth game does the genre justice by bringing every bit of awesome the genre could offer and wrapping it together for your enjoyment. A slick presentation, gorgeous visuals, and gameplay that is both open and rewarding is what sets this game apart from the pack. Loved every bit of my time with it. What were your favorite titles of 2012? Despite the even more ridiculous character pics I've seen from Zero Escape: Virtue’s Last Reward I'd like to play it because I really enjoyed 999. I don't have a Vita or 3DS though t.t and they are too uber to run on emulators. Favorite Games I played in 2012... Star Craft... Battle For... Oh wait, that's all from before 2012... >.> I feel really behind the current titles and yet I'm a teenager, is this bad? And there are many more such games. Probably enough to play for the next 10 years. Only memorable game I played was Dishonored...man...dat game. I really want to play Zero Escape: Virtue’s Last Reward. Unfortunately, I don't own a DS or playstation Vita. =( As I'm typing this, I just realized the guy above me basically wrote the same thing. I want to play Journey, but i don't have PS3. I've heard so much good about it and even TotalBiscuit said it was his GOTY. Only game I've played from your list is Walking Dead, and that was my game of the year. Gonna try out Sleeping Dogs at some point though, heard alot about it also.